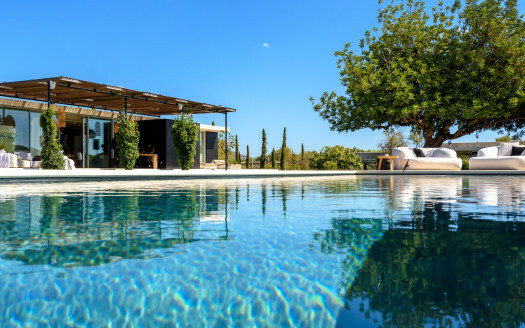 You can enjoy its various seating and lounge areas: the central patio, the pool area with its beautiful views of the countryside, and different areas to chill under the shadows of the trees. Also, if you look at the celebration of an event, or a retreat, Can Fig is ideal for this. Bedroom 3, double (Queen size bed), with separate entrance but communicating with the House, shared bathroom with bedroom 2. Master suite 4 (King size bed) master with bath in suite, terrace. Bedroom 6 (2 single beds), air conditioning, bathroom en-suite with shower. 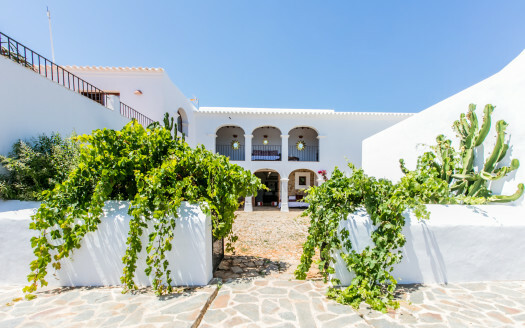 10 minutes from Santa Eulalia and San Rafael.